I think we can all agree that there’s nothing more refreshing than coming out of the shower after a long day (unless it’s a glass of rosè/spicy marg), especially during this insane NYC heat wave. To be totally transparent, and not to be gross, but I used to think showering was a chore before I got a full-time job. Slowly, I started loving the idea of a long, hot shower with my loofa and being able to relax on my bed with a face mask on afterwards; it was like an everyday pamper treatment. The only downside was that that clean and fresh feeling was extremely temporary, and my body couldn’t smell amazing for more than an hour. 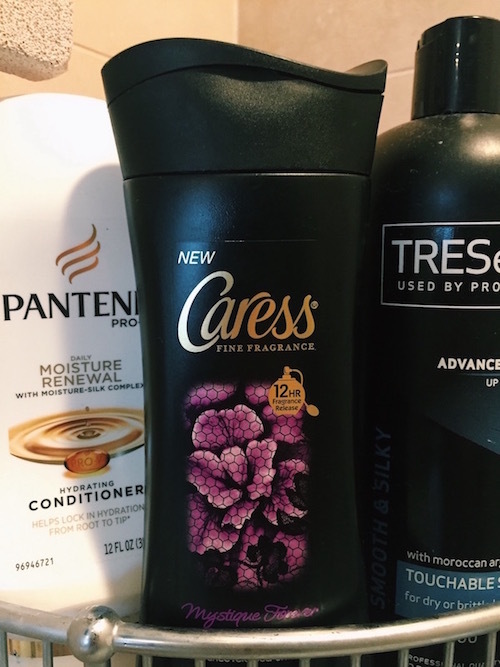 The issue was that I was using generic Target brand shea butter body wash and missing out on a true game changer: the Caress Mystique Forever Body Wash. 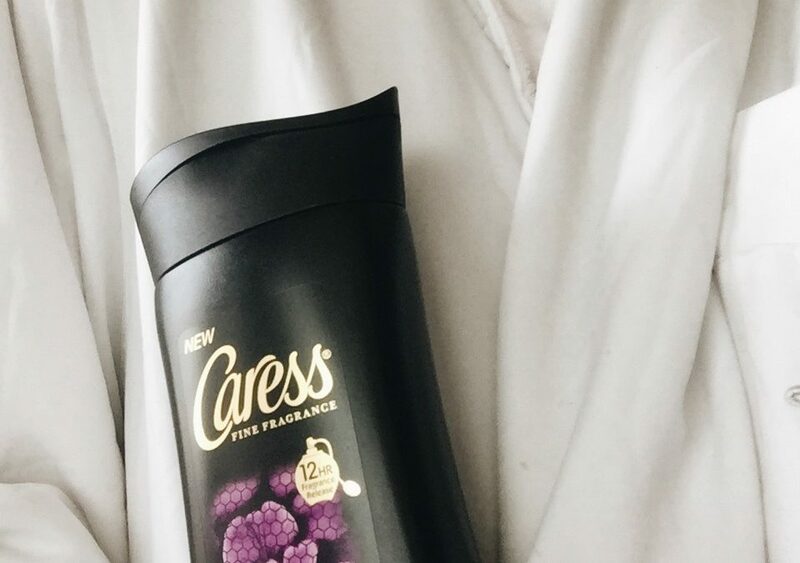 Claimed to be “The World’s First Collection of Body Washes With Fragrance Technology”, this wash is LUX AF. It even looks the part, too (see photo above). The reason the formula is so shimmery is because it consists of Fragrance Release Pearls that let off bursts of perfume as soon as it touches your skin, and that fragrance is there to stay for up to 12 hours. Talk about technologyyyy *nerdy voice*. Personally, I haven’t experienced a full 12 hours of it, but I sure have flaunted at least 4-5 at the peak of its strength, which is absolutely impressive especially in the summer time! 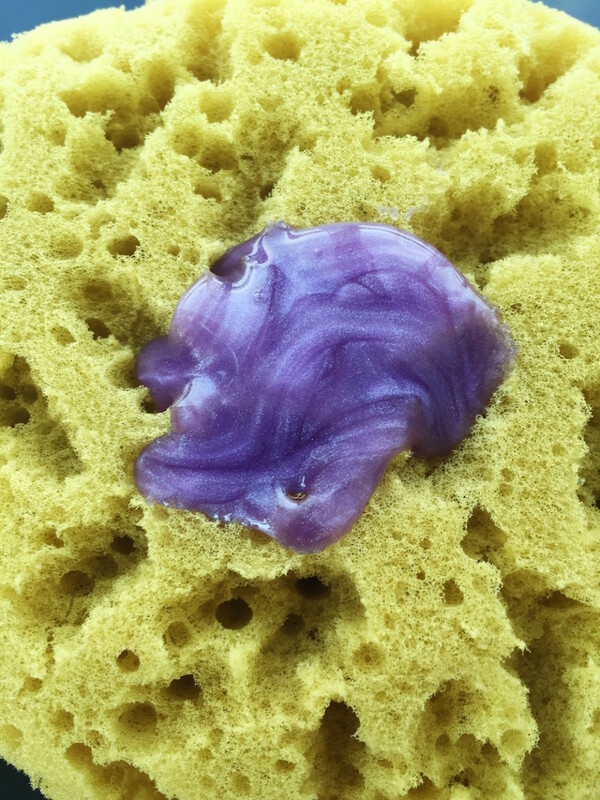 The formula itself is super thick and goopy, which is nice because I don’t have to dispense it a second time before getting through my entire body once. The deep purple color makes it look like this magical love potion, and it’s so fitting because it literally creates magic on my skin. 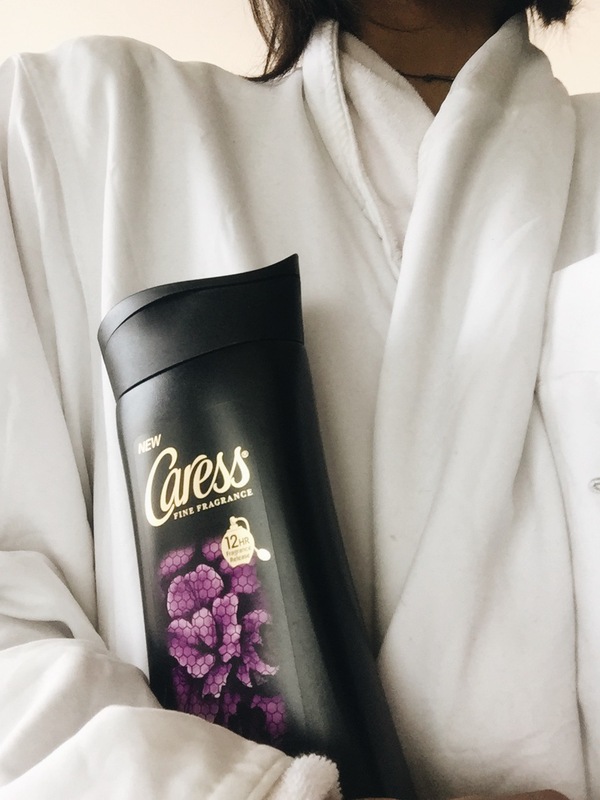 That magic, is this Imperial Iris and Amber fragrance combination that is mind-blowing. It’s so unforgettable that I had to buy a travel bottle so I could take it with me when I went to Italy for 2 weeks – I couldn’t be without it! TBH I wish I could never let it go, and I can’t wait to try the other scents! The line consists of 3 others – Love Forever, Adore Forever and Enchant Forever, and can be purchased at a suggested retail of $3.99 (!!!) at your local drugstore. If you have ever desired to wear a scent that feels more natural but is strong enough to last and be noticed versus something as overwhelming as regular perfume, I highly recommend trying this one out. Seriously, do it. Note: This post is not sponsored. All thoughts are my own and unbiased. Photos are my own. Product was provided for review.